Angel Wine Glass Charms available in different styles and colours. The Personalised Angel Wine Glass Charms can feature a Name, Date, Short Message or Initial Charm - to make it more unique. 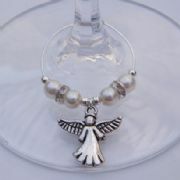 Angel Themed Wine Glass Charms are perfect to use as Party Favours. 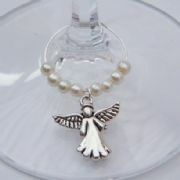 Angel Initial Wine Glass Charm, available in different colours. Give your Wine Glasses a Personalised touch with an Initial Charm. Lovely Personalised Gift Idea. Angel Initial Wine Glass Charms - Full Sparkle Style, available in different colours. Angel Wine Glass Charms Personalised with an Initial Charm. Personalised Angel Party Favour Idea. Angel Personalised Wine Glass Charm, available in different colours. Personalised Wine Glass Charms featuring a Name, Word, Date or Short Message. Angel Personalised Wine Glass Charm - Elegance Style, available in different colours. Personalised Wine Glass Charms featuring a Name, Date, Word, Number or Short Message. 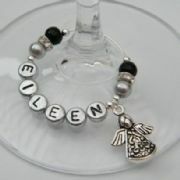 Personalised Angel Wine Glass Charms - Full Bead Style, available in different colours. Personalised Wine Glass Charms featuring a Name, Date, Word, Number or Short Message. Personalised Angel Wine Glass Charms - Full Sparkle Style, available in different colours. Personalised Wine Glass Charms featuring a Name, Date, Word, Number or Short Message. Angel Wine Glass Charms - Beaded Style, available in different colours. Novelty Gift Idea. Angel Wine Glass Charm - Elegance Style, available in different colours. Elegant Wine Charms for your Wine Glasses. 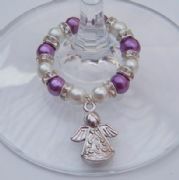 Angel Wine Glass Charms - Full Bead Style, available in different colours. Lovely Gift Idea. Angel Wine Glass Charm - Full Sparkle Style, available in different colours. Add a Beautiful touch of sparkle to your Wine Glasses! Gorgeous Gift Idea. Angel Wine Glass Charm - Hoop Style, Novelty Gift Idea. Fun to use as Party Favours. Angel Wings With Heart Initial Wine Glass Charm, available in different colours. Give your Wine Glasses a Personalised touch with an Initial Charm. Lovely Personalised Gift Idea. 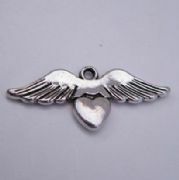 Angel Wings With Heart Personalised Wine Glass Charm - Elegance Style, available in different colours. Personalised Wine Glass Charms featuring a Name, Date, Word, Number or Short Message. 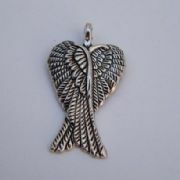 Angel Wings With Heart Wine Glass Charm - Elegance Style, available in different colours. Elegant Wine Charms for your Wine Glasses. 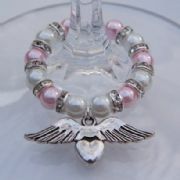 Angel Wings With Heart Wine Glass Charm - Full Sparkle Style, available in different colours. Add a Beautiful touch of sparkle to your Wine Glasses! Gorgeous Gift Idea. Angel Wings With Heart Wine Glass Charm - Hoop Style, Novelty Gift Idea. Fun to use as Party Favours. 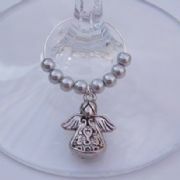 Detailed Angel Initial Wine Glass Charm, available in different colours. Give your Wine Glasses a Personalised touch with an Initial Charm. Lovely Personalised Gift Idea. Detailed Angel Initial Wine Glass Charms - Full Sparkle Style, available in different colours. 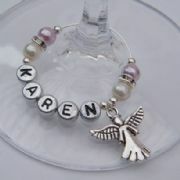 Detailed Angel Wine Glass Charms Personalised with an Initial Charm. Personalised Detailed Angel Party Favour Idea. Detailed Angel Personalised Wine Glass Charm, available in different colours. Personalised Wine Glass Charms featuring a Name, Word, Date or Short Message. Detailed Angel Personalised Wine Glass Charm - Elegance Style, available in different colours. Personalised Wine Glass Charms featuring a Name, Date, Word, Number or Short Message. 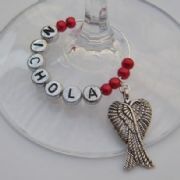 Personalised Detailed Angel Wine Glass Charms - Full Bead Style, available in different colours. Personalised Wine Glass Charms featuring a Name, Date, Word, Number or Short Message. Personalised Detailed Angel Wine Glass Charms - Full Sparkle Style, available in different colours. Personalised Wine Glass Charms featuring a Name, Date, Word, Number or Short Message. Detailed Angel Wine Glass Charms - Beaded Style, available in different colours. Novelty Gift Idea. Detailed Angel Wine Glass Charm - Elegance Style, available in different colours. Elegant Wine Charms for your Wine Glasses. 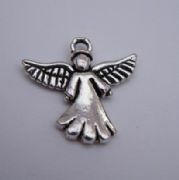 Detailed Angel Wine Glass Charms - Full Bead Style, available in different colours. Lovely Gift Idea. Detailed Angel Wine Glass Charm - Full Sparkle Style, available in different colours. Add a Beautiful touch of sparkle to your Wine Glasses! Gorgeous Gift Idea. Detailed Angel Wine Glass Charm - Hoop Style, Novelty Gift Idea. Fun to use as Party Favours. Large Angel Wings Initial Wine Glass Charm, available in different colours. Give your Wine Glasses a Personalised touch with an Initial Charm. Lovely Personalised Gift Idea. Large Angel Wings Initial Wine Glass Charms - Full Sparkle Style, available in different colours. 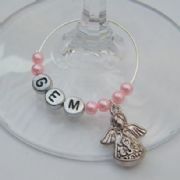 Large Angel Wings Wine Glass Charms Personalised with an Initial Charm. Personalised Large Angel Wings Party Favour Idea. Large Angel Wings Personalised Wine Glass Charm, available in different colours. Personalised Wine Glass Charms featuring a Name, Word, Date or Short Message. Large Angel Wings Personalised Wine Glass Charm - Elegance Style, available in different colours. Personalised Wine Glass Charms featuring a Name, Date, Word, Number or Short Message. 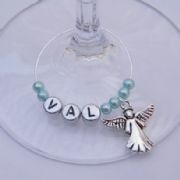 Personalised Large Angel Wings Wine Glass Charms - Full Bead Style, available in different colours. Personalised Wine Glass Charms featuring a Name, Date, Word, Number or Short Message. Personalised Large Angel Wings Wine Glass Charms - Full Sparkle Style, available in different colours. Personalised Wine Glass Charms featuring a Name, Date, Word, Number or Short Message. 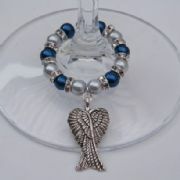 Large Angel Wings Wine Glass Charms - Beaded Style, available in different colours. Novelty Gift Idea. 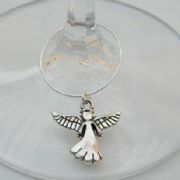 Large Angel Wings Wine Glass Charm - Elegance Style, available in different colours. Elegant Wine Charms for your Wine Glasses. 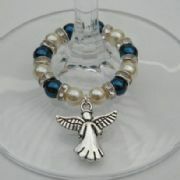 Large Angel Wings Wine Glass Charms - Full Bead Style, available in different colours. Lovely Gift Idea. 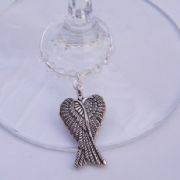 Large Angel Wings Wine Glass Charm - Full Sparkle Style, available in different colours. Add a Beautiful touch of sparkle to your Wine Glasses! Gorgeous Gift Idea. Large Angel Wings Wine Glass Charm - Hoop Style, Novelty Gift Idea. Fun to use as Party Favours.